The centralized 3-star Hotel Hiberia is near the Palazzo of the Quirinale (seat of the Italian presidency ) and close to the Bank of Italy headquarters, in one of the most striking and vivacious areas of Rome, where all the major protagonists of the political life and national administration. 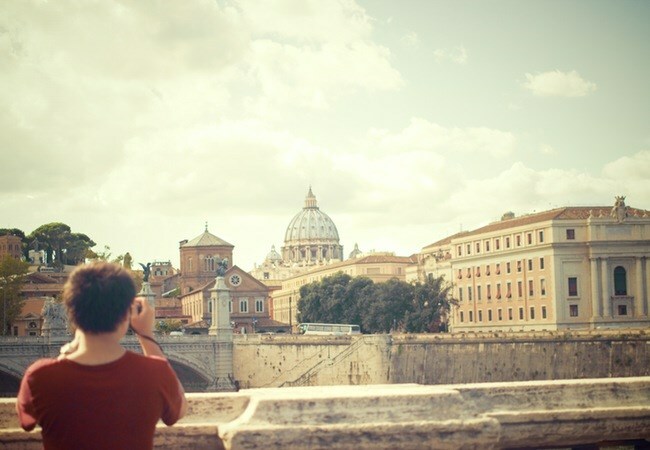 The hotel is an optimal point of departure to reach the TreviFountain, the Pantheon and Piazza Navona, some of the more significant locales in the city, all a few minutes walk away. Not far, the bus stop and metro allows for rapid arrival at Piazza di Spagna, to the refined shopping of Via dei Condotti, to the Villa Borghese park and to its splendid collection of works of art, born of the genius of artists such as Raffaello, Bernini and Caravaggio. 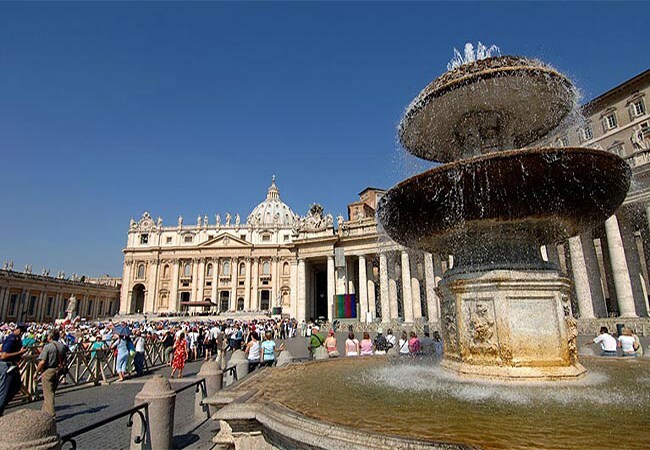 The Hotel Hiberia is close to Piazza Venezia and the majestic Vittoriano complex at the Imperial Courts, which leads to the front of the Coliseum arena and next to the enchanting Thermal Baths of Caracalla. From Fiumicino Airport: you may take a taxi from the airport, at the cost of appox. 45 - 60 euro or you may catch the train "Leonardo Express" to Termini Station, at a cost of 14,00 euro per person. a) By taxi. Leave the station from the front Exit and go to the Official Taxi Rank. Official taxis have a light on top and code numbers on the side door. Do not go with anyone that comes up to you in or around the station area that offers to help you with your luggage telling you to follow them to a taxi - it may be costly! b) By bus. In the area in front of the station there is a bus park. you can get there number 64, 40 express or 170 and get off at the stop in via Nazionale for the ''Quirinale''. We are just around the corner in via Ventiquattro Maggio at N° 8. Bus tickets must be purchased beforehand, either from a machine near the buses or any newsagents or cigarette shop "Tabacchi" and cost 1.50 EUR each. You should validate your ticket in the little yellow machine on the bus. c) To walk. Go out the front entrance and across the bus park and opposite you will find a tree lined street called Viale V. Einaudi which brings you to Piazza Della Repubblica. From there take the main street on your left this is Via Nazionale, walk to the end of this street, you will see a little roundabout with Palm trees, and we are in the turning on the right hand side, Via Ventiquattro Maggio at N 8.
d) By car: Reach Rome by following highway A1, take the GRA (Grande Raccordo Anulare) in the direction of Salaria and exit after 547 miles following the signs to ‘Salaria’; turn immediately to the left for the ‘Salaria Centro Parioli’ fork proceeding for about 6 miles, go right onto via di Porta Pinciana up to via Veneto; travel this famous street up to Piazza Barberini, crossing the piazza and taking via delle Quattro Fontane; at the traffic lights turn onto via del Quirinale, cross the piazza of the same name and you will be on via XXIV Maggio, where at number 8 Hotel Hiberia will welcome you. 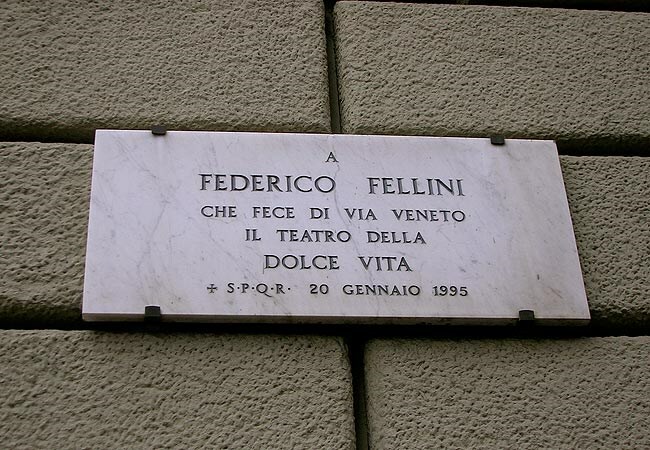 If you are passing throughPiazza Barberini, going past the attractive Fontana del Tritone you will find upon entering Via Veneto, the theater of the ‘sweet life’immortalized by Federico Fellini in one of his most celebrated operas. The street, which during the 60's hosted the worldly life of the capital, also today emanates an extraordinary fascination, between sumptuous hotels and historical locales. A voyage to Rome includes a visit to the Vatican City, undisputed symbol of Christianity, where artistic legacies of immense value are conserved; works of celestial beauty such as the Sistine Chapel frescoed by Michelangelo, the Raffaello room, numerous classical sculptures, rich libraries and the Vatican art gallery, without missing the sublime cupola of Saint Peter's Basilica. You can request detailed information at our reception to reserve a visit.